Accor – Newsroom | Experience is the new commodity at Fairmont Hotels & Resorts. 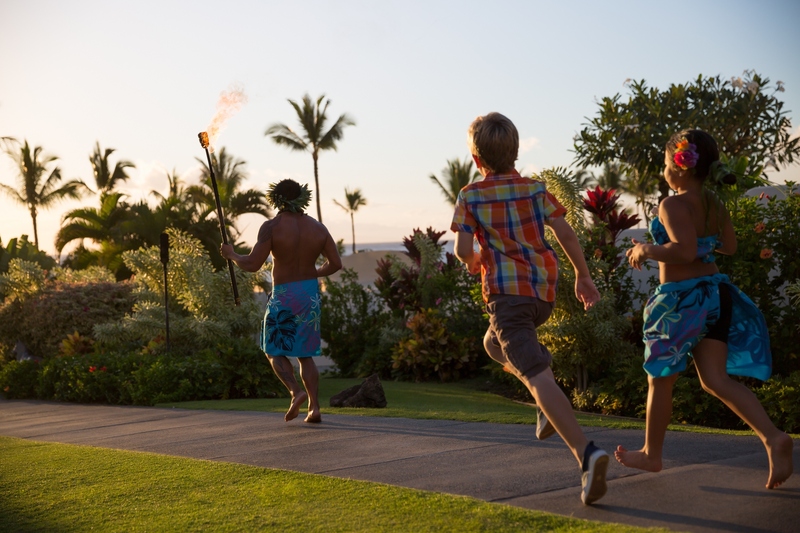 Experience is the new commodity at Fairmont Hotels & Resorts. TORONTO, January 2017 – Today’s traveler is seeking a new kind of experience – one that is centered on the idea of learning and discovery. Research from Fairmont’s inaugural Luxury Insights Report examines how travelers possess a growing desire for cultural immersion and exhibit higher levels of interest in active and creative participation rather than passive observation. As Fairmont Hotels & Resorts are located in the heart of many destinations worldwide, the below shares the many ways in which guests can explore, immerse and be inspired by the local culture. Fairmont Banff Springs is the perfect base camp to experience an approachable style of adventure. With luxury service from start to finish, guests can literally go from Campfire to Castle during their stay. They’ll experience an overnight horseback trip with Banff Trail Riders, breathe in the fresh alpine air, take in the stunning landscapes and share memorable stories around the campfire, while also indulging in delectable meals. Guests will also discover the fascinating history of Canada’s first National Park from a new perspective. The package is available in the summer as well as in shoulder seasons from May - June and September – October, and includes pre and post stays at Fairmont Banff Springs. The Downtown RunVan Club is a weekly run hosted by the Vancouver International Marathon Society and Fairmont Waterfront supported with RunVan Ambassadors. The goal of the RunVan Club is to bring runners together to enjoy the stunning downtown Vancouver neighborhood. It is a casual run held every Thursday at 6:30am, starting from the beautiful Fairmont Waterfront. The duration of each run is approximately 45-60 minutes and takes runners on routes all around Stanley Park, the seawall and through the downtown streets surrounding the Fairmont. The run is free for all who want to join. Simply meet the team in the lobby and look for a RunVan Ambassador in run gear. Visit the animal orphanage located within the expansive Mount Kenya Conservancy while staying at Fairmont Mount Kenya Safari Club. The orphanage is dedicated to rescuing and rehabilitating wild animals such as the Mountain Bongo, Colobus Monkey and Cheetahs in liaison with the local authorities before releasing them into the wild. In addition to interacting with the animals and getting a better understanding of the conservation efforts, guests have the unique opportunity to get involved by adopting the variety of endangered wildlife. Guests can also enjoy exhilarating game-viewing by bike or horse riding. Guests of Fairmont Sonoma Mission Inn & Spa have the opportunity to partake in bespoke cooking classes with celebrated Executive Chef Bruno Tison. The resort, which is also home to the lauded, Michelin-rated Santé dining room, is pleased to introduce private, on-site cooking classes for cooks of all levels of interest and skill. Bespoke classes may be scheduled as Participative, where guests cook alongside the Chef, Demonstration Format, where they observe Chef Tison cooking, or Party Classes for groups of friends or colleagues. Guests are promised an unforgettable culinary experience as they indulge in delicious wine country-inspired cuisine and world-famous fine wines. Full meal complements, wine pairings and customized menu options are also available. Ideally situated in the heart of the Principality, with inspiring views of the Riviera coastline, Fairmont Monte Carlo invites guests to discover its special Room & Vroom experience to fully enjoy this magnificent paradise. Relax in a signature suite dedicated to one of the world-renowned racing legends, Sir Stirling Moss, overlooking the famous F1 bend, the Fairmont Hairpin. Step into the shoes of a sports car driver and enjoy a one hour driving experience in a Ferrari 355 Modena or Ferrari 360 Modena convertible! Join Fairmont Mayakoba’s Ecology Manager, a senior member of Oceanus A.C., or an expert from the hotel’s Coral Reef Restoration Team on a fascinating adventure of discovery through a private snorkeling tour of the resort’s coral nursery. Enjoy a behind-the-scenes look at how precious Acropora Palmata coral is grown and harvested to be transplanted into the Mesoamerican Reef, the second largest in the world. In alliance with the Non-Governmental Organization Oceanus A.C., Fairmont Mayakoba is the only hotel with coral nurseries to reproduce the Elkhorn Coral (Acropora palmata). The excursion costs USD $75 per guest and all proceeds are donated to Oceanus A.C.
Fairmont Scottsdale Princess is home to many furry, feathered and reptilian friends. Guests may say hello to Cecil, the resident desert tortoise in his own outdoor habitat or Skittles, the bearded dragon in the Trailblazers Kids Club. At the lush lagoons, kids will set their eyes to the skies for a bird-watching expedition to spot the bold Harris Hawks, colorful Rosey-Faced Lovebirds in the palm trees, a Blue Heron sunning on a rock, a sweet family of quail on a trail, a wise Great Horned Owl peering from above or a Cactus Wren, Arizona’s state bird, nesting in a towering saguaro. Swimming about, little guests might see ducks, fish and a mud turtle sliding under a lily pad. Then, hopping and nibbling and hopping some more, the desert cottontail rabbits are yet another of the Princess’ most adorable creatures. Fairmont Pittsburgh is home to hundreds of nineteenth-century artifacts that were excavated from the site of the hotel during construction. The artifacts, which are now displayed in museum-quality cases throughout the hotel, include toys, glass bottles and artwork. These incredible pieces offer a unique glimpse into the life and commerce of Pittsburgh in the mid-1800s. Guests can take a self-guided artifacts tour and learn more about the department store, boarding houses and banks that once stood on the site. Fairmont Pittsburgh also features a diverse collection of all-local contemporary artwork including a 15-foot wooden sculpture, paintings, photographs and Andy Warhol ex-edition prints. Fairmont Château Laurier offers a great feature to the hotel’s service experience – an App which allows guests to take a narrated self-guided tour of Ottawa’s famed castle! These free tours are available for registered guests by simply signing out an iPad from the Front Desk. The app was created to help share the rich history with guests who are looking for an unforgettable experience. The interactive tour allows guests to move through the different spaces of the hotel or simply enjoy the historical highlights, images and videos from the comfort of the lobby, guestroom or even their own home in preparation for a future visit. Fairmont Zimbali Resort offers corporate guests the opportunity to immerse themselves in true South African Shebeen culture with a themed group offering, hosted in the Marula Ballroom. Originally, Shebeens were operated illegally, selling homebrewed and home-distilled alcohol and providing patrons with a place to meet. During the apartheid era Shebeens became a crucial meeting place for activists, some attracting working class activists and community members, while others attracted lawyers, doctors and musicians. Shebeens also provided music and dancing, allowing patrons to express themselves culturally, which helped give rise to the musical genre kwaito. Currently, Shebeens are legal in South Africa and have become an integral part of South African urban culture, serving commercial beers as well as umqombothi, a traditional African beer made from maize and sorghum. Fairmont Vancouver Airport, Swarovski Optik and WildResearch have come together to offer an incredibly unique experience for birders and nature enthusiasts alike. The Spot the Birdies package, available in the spring and fall months, allows individuals to stay overnight in the heart of the Fraser River Estuary, one of Canada’s premier bird habitats, and to experience birds in an intimate and hands-on manner. During these time periods, the estuary becomes an important stopover for millions of birds traveling north or south along the Pacific migratory ‘flyway’. With tours led by WildResearch biologists, a full selection of binoculars provided by Swarovski Optik and spotting scopes to choose from, guests are sure to be impressed with this amazing opportunity.